Natural resources exhaustion is not fictional and much more measures must taken in order to control this threat. 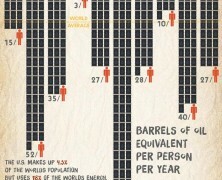 Likewise, resource scarcity is closing faster than we think. Carbon trust presents how businesses respond to this situation and how active or stagnant they are to the direction of securing sustainability. As technology increasignly rules our daily life and with electronics’ lifecycle getting shorter, it’s no surpise that electronic waste management becomes a top tier environmental issue. 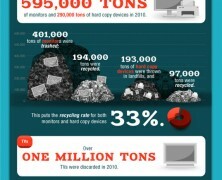 Have a look at some devastating facts about e-waste recycling from the US. Population explosion is going to exhaust earth’s natural resources and heighten need for food. We won’t make it unless we adopt green growth models. Learn about the opportunities we have. 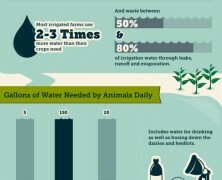 A great infographic that reminds us the importance of water in our living and its contribution to the planet’s ecosystem. From idealism to realism. Design for the people! Agriculture is the largest food provider and the largest water consumer at the same time. With a fast growing world population and the phenomenal climate change, it’s a challenge for people to manage water reserves in the future. 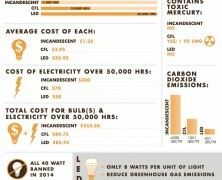 See here some interesting facts.